Stinky-Dog ... Where Are You? 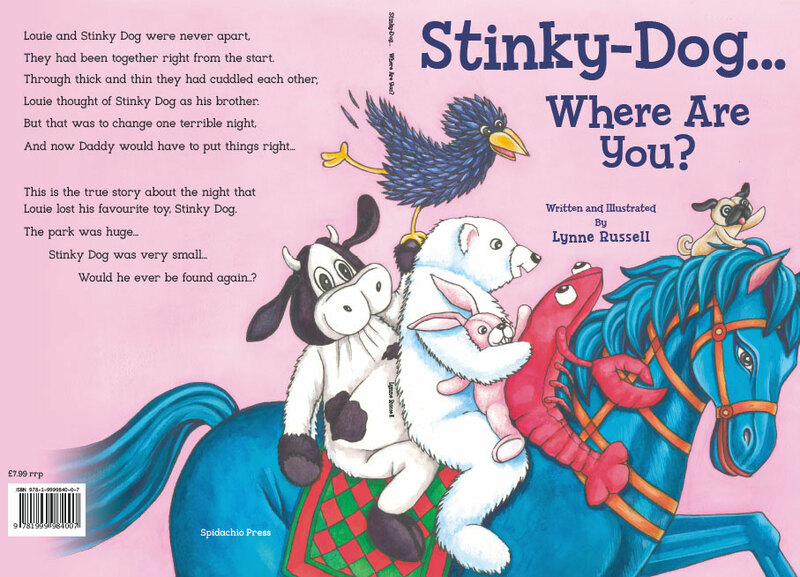 "Stinky-Dog isn't just a smelly old comfort object! He is the much-beloved hero of a beautifully crafted - and highly relatable - tale of love and loss. Packed with all the thrills and spills of an amusement park. Lynne's personal story is perfectly crafted to enthrall a young, soft toy loving audience. With vivid illustrations, brimmimg with witty details, movement and excitement. Lynne's accompanying rhyming text is ideal for early learners who are just getting to grips with the cadences of spoken and written language. This really is the perfect bedtime tale and is the first of what we can only hope will become a series of Stinky-Dog themed stories." Lucy Butler, ex-journalist and sub editor now working as a literacy support/SpLD specialist teacher. He goes home a very sad, unhappy boy. Who will help him out of this plight? A rhyming text helps the story to flow. Through colourful pictures a joy to behold.